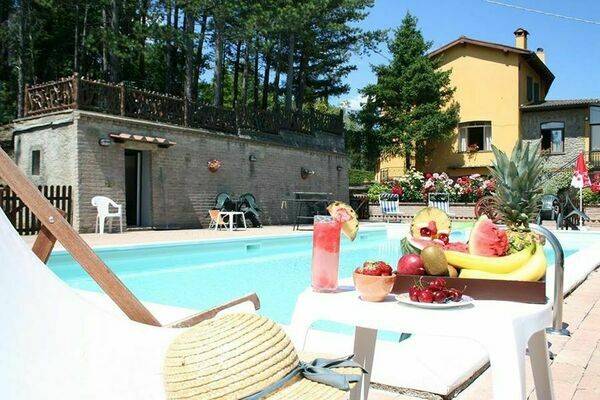 Villas to sleep 20 to 25 people with private pool in Italy. For this size of group there are two solutions. Either pick a large independent villa or a MULTIPLE-UNIT property where you take all the accommodation. (N.B. In some cases the owner may live on-site). Multiple-unit properties – e.g. farmhouse complexes divided into apartments with pool and good on-site facilities – are particularly suitable for very large groups whose members need privacy as well as time spent together. VILLA RAVANO, near San Giuliano Terme . Walk to town. 500m walk from bus station, 1.5km walk from railway station. 10km from Pisa airport. Sleeps 20 – 25 people in up to 16 bedrooms. (Or up to 36 people for a supplement). Private swimming pool. Games room with billiards and table football. Piano. Bicycles. Table tennis. Tennis court. Football pitch. Wifi. Garden / lawns. 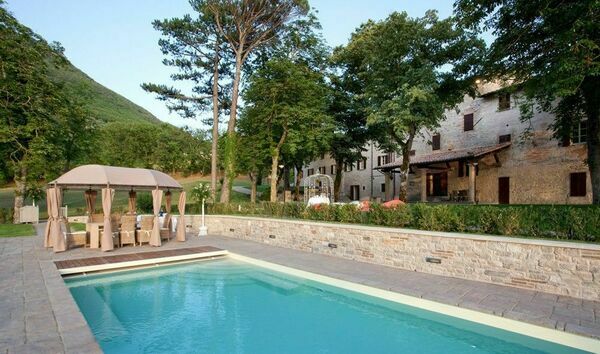 Borgo Cevoli – contact us here for a quotation based on your own party size. Can sleep 20 – 40 people in up to 15 bedrooms. Private swimming pool. Hot tub. 2 Games rooms with pool table. Table tennis. Wifi. Professional kitchen. Pizza oven. 2000m2 of gardens and terraces. Ask us for a price for your size of group. Borgo di Usciano, near Arezzo, Tuscany. Ancient stone hamlet in a panoramic position. Sleeps 20 in 10 bedrooms. Beautiful private infinity pool. 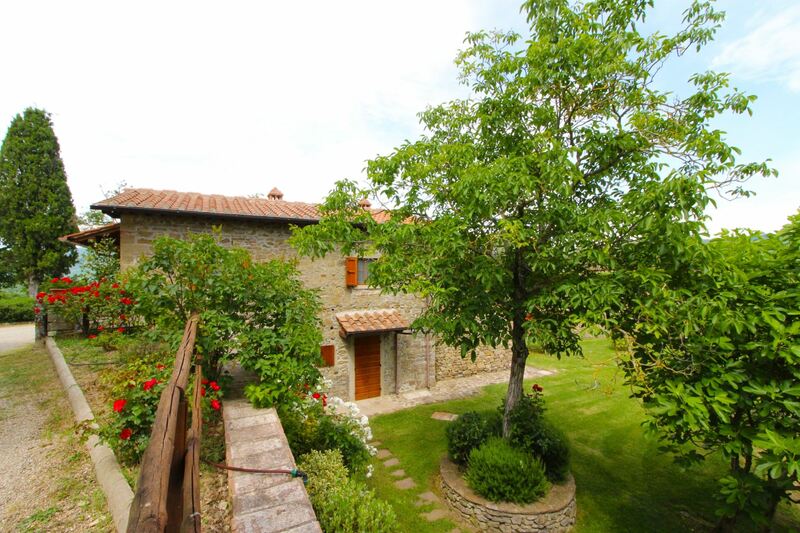 The property comprises a farmhouse + 2 stone cottages. Barbecue. Free wifi. On request, the owner can organize tastings in the villa with typical Tuscan products, and tours of the area by mountain bike with guides. Rental price from euro 2835 per week. 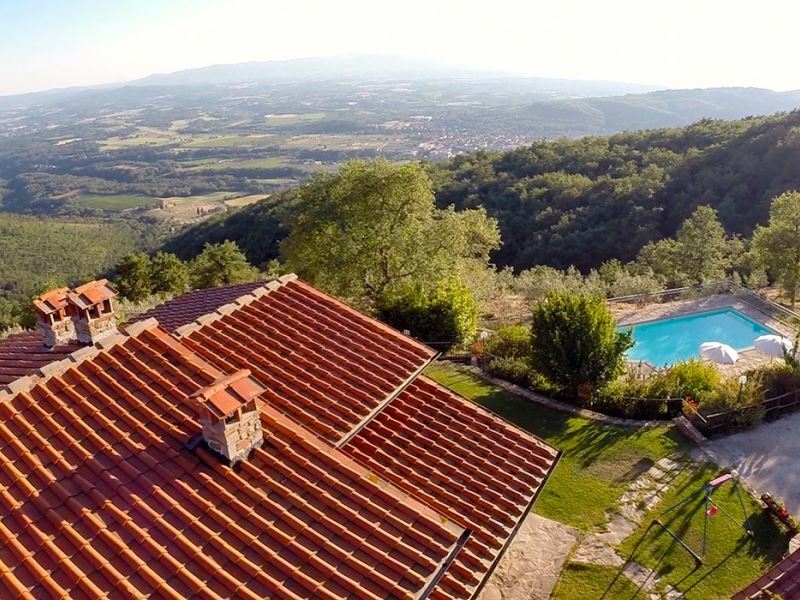 Villa Marcigliano, near Cortona, Tuscany. Private swimming pool. MULTIPLE-UNIT property. There are 2 buildings hosting 5 apartments. Sleeps 20 in 12 bedrooms. Children’s playground. Air conditioning. Free wifi. Rental price from Euro 1876 per week. 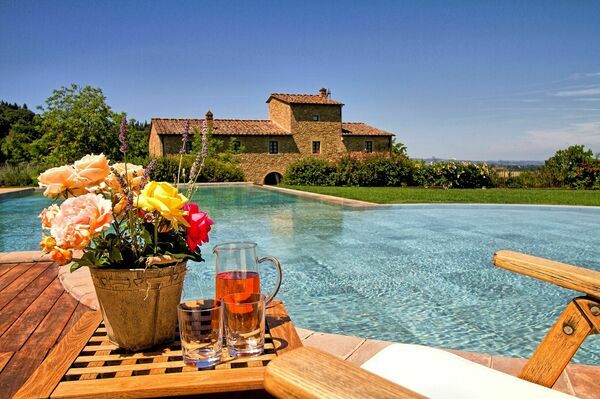 Villa Il Palazzo, near Cortona, Tuscany. Private pool. Table-tennis. Mountain bikes. MULTIPLE-UNIT PROPERTY. Sleeps 20 in 9 bedrooms. There are 6 independent units, each with own cooking facilities. Plus a large living-dining room with kitchen and sitting area in the basement, big enough for everyone to eat together. Ideal for large family groups. Gazebo and pergola equipped for outdoor meals. Rental price from Euro 2835 per week. Villa Casavecchia MULTIPLE – UNIT property. 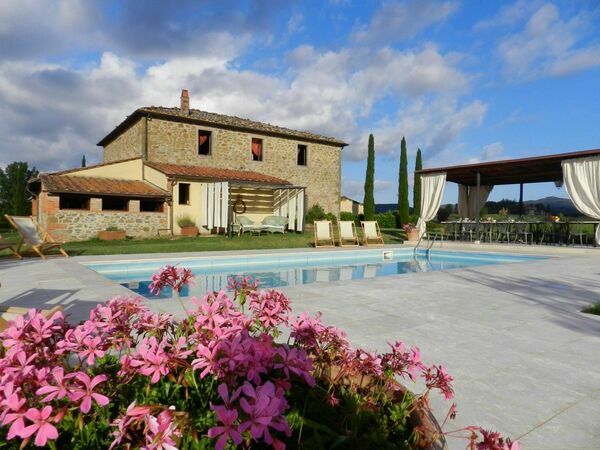 Villa with private pool for 20 people, between Arezzo and Florence, Tuscany. 9 bedrooms, 6 bathrooms. 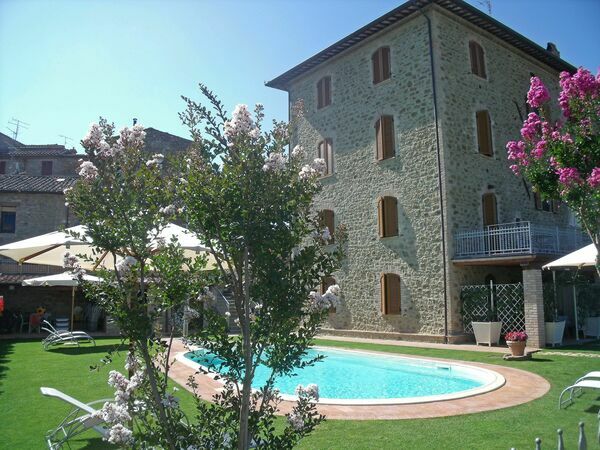 Villa Casavecchia is a stone farmhouse divided into three comfortable apartments, furnished with care. 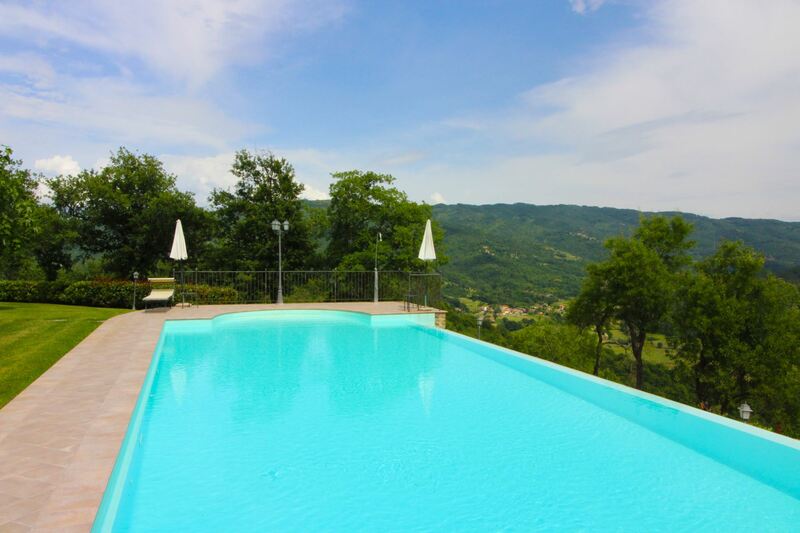 Beautiful completely-fenced swimming pool (5x10m – depth 1,20m) in the natural terrace which overlooks the Arno valley. Barbecue, a wood burning oven, children’s playground, a laundry room. Rental prices from Euro 1770 per week. San Donato, San Donato in Poggio, between Florence and Siena, Chianti. Tuscany. MULTIPLE-UNIT property : 3 apartments (to sleep 6, 6 and 8 people). 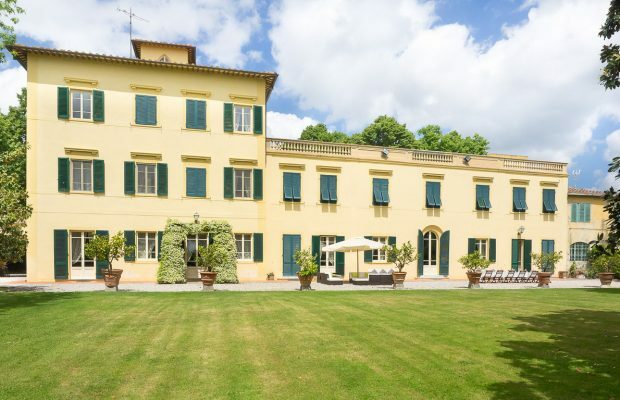 A large common room is available upon request to organize dinners as well as tasting of the products of the estate (wine, olive oil, “vin santo”).Two of the apartments can be connected on request. 7 bedrooms, 7 bathrooms. 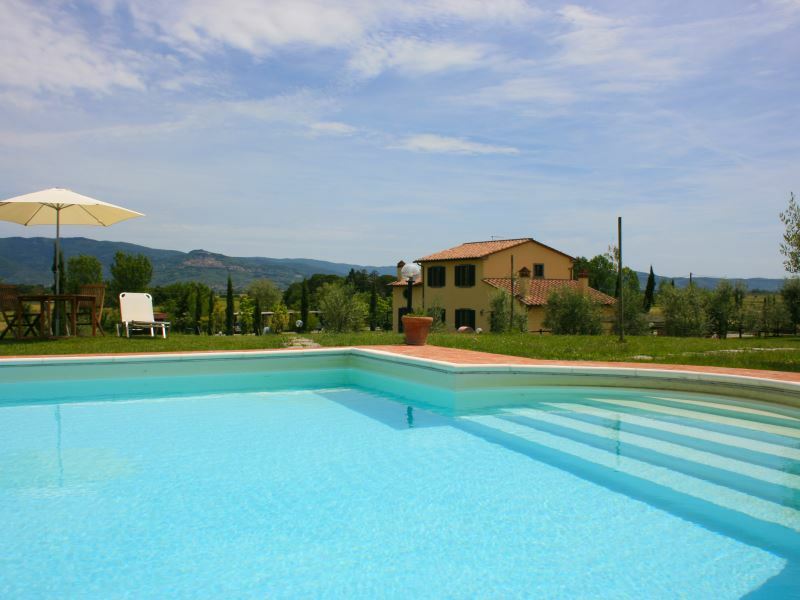 Swimming pool set in vineyards and olive groves. 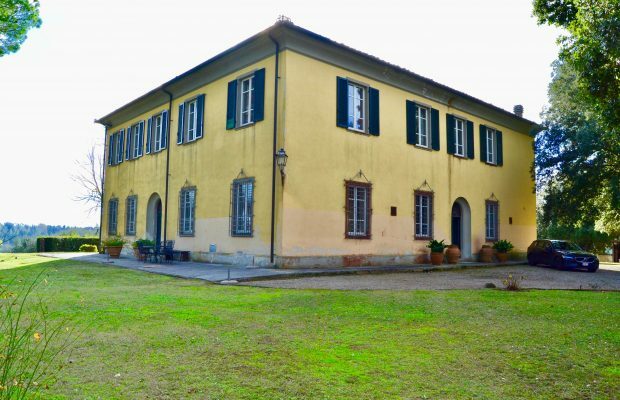 Only 500m from the centre of San Donato with shops, restaurants etc. Annarita, near Pratovecchio, Tuscany. 8 bedrooms, 6 bathrooms. Independent villa. Private pool. Sleeps 20. Rental prices from Euro 1308 per week. Check prices, availability and book Annarita here. Villa Lorenzo, near Anghiari, Tuscany. 9 bedrooms + 1 connecting room with a bunk bed, 7 bathrooms. Independent villa. Private pool. Sleeps 20. Rental prices from Euro 1908 per week. Bar and restaurant in walking distance. Check prices, availability and book Villa Lorenzo here. Villa Londa, near Rufina, Tuscany. 10 bedrooms, 10 bathrooms. Independent villa. Private pool. Sleeps 20. Easy access to Florence by train from Rufina. Small on-site gym. Rental prices from Euro 4444. 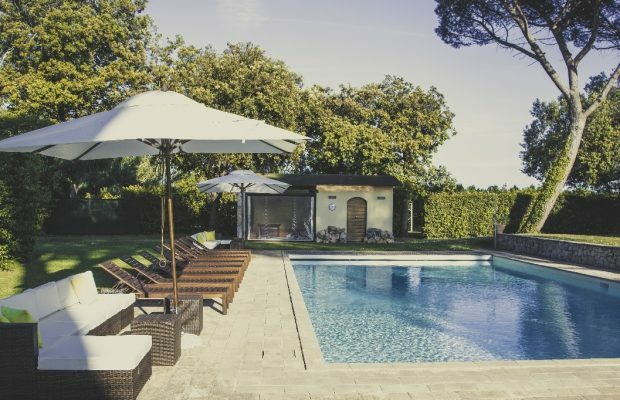 Check prices, availability and book Villa Londa here. La Bandita, near Bettolle, Tuscany. 10 bedrooms, 10 bathrooms. MULTIPLE-UNIT property rented only as a single villa. Private pool. Sleeps 20. Rental prices from Euro 5605 per week. Check prices, availability and book La Bandita here. Villa Gubbio, near Gubbio, Umbria. 10 bedrooms, 12 bathrooms. Independent villa. Private pool. Sleeps 20. Air conditioning. Rental prices from Euro 4949 per week. 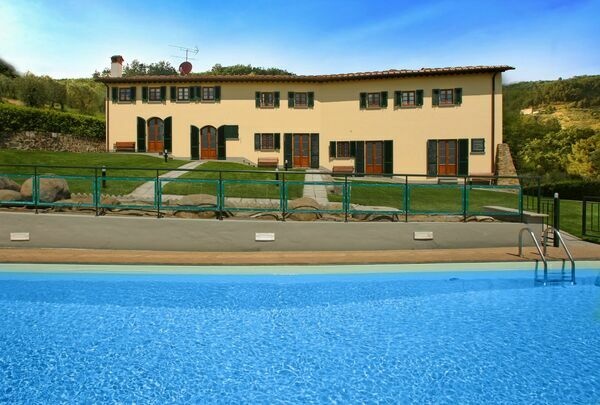 Check prices, availability and book Villa Gubbio here. Fattoria di Romignano, near San Giustino Valdarno, Tuscany. Independent villa plus annexe. Sleeps 22. 9 bedrooms, 8 bathrooms. San Giustino Valdarno with all kind of shops at 3 km, restaurant at 2km. Prices. Availability. Villa Lorenza, near Palaia (Pisa area), Tuscany. Independent villa. Private pool + children’s pool. 10 bedrooms. 10 bathrooms. Sleeps 22. Rental prices from Euro 3706 per week. 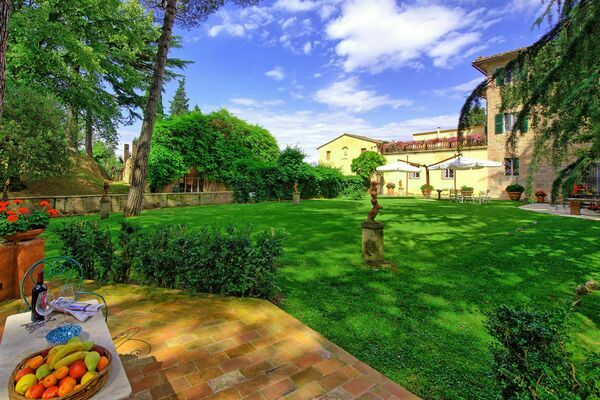 Check, price, availability and book Villa Lorenza. Villa Le Capanne, near Volterra, Tuscany. Independent villa. Private pool. 9 bedrooms. 10 bathrooms. Air conditioning. Sleeps 22. Rental prices from Euro 5555 per week. 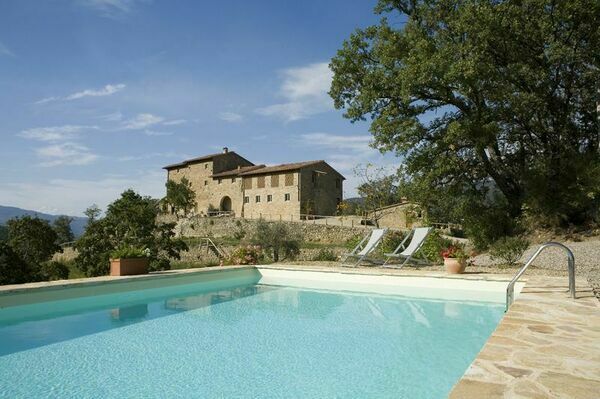 Check price, availability and book Villa Le Capanne. 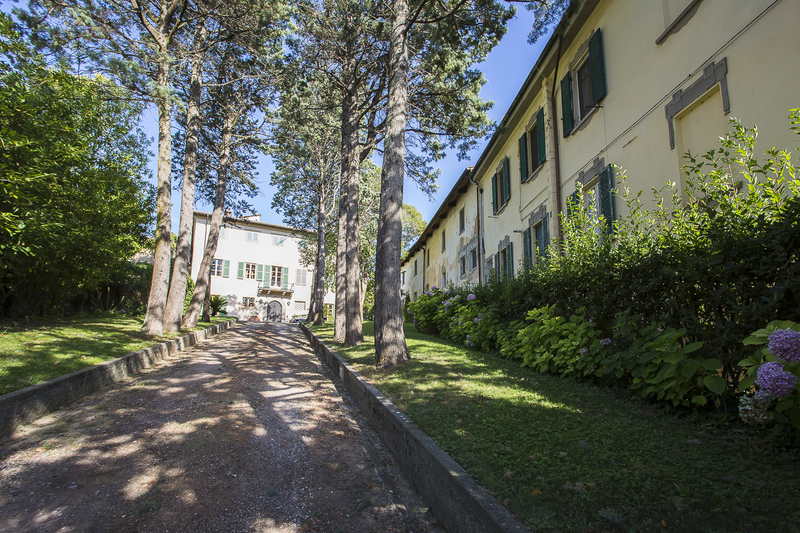 Villa Fabbri, near Bucine, Tuscany. Luxury independent villa. 10 bedrooms, 9 bathrooms. Private pool. Air conditioning. Sleeps 22. Rental prices from Euro 6060 per week. 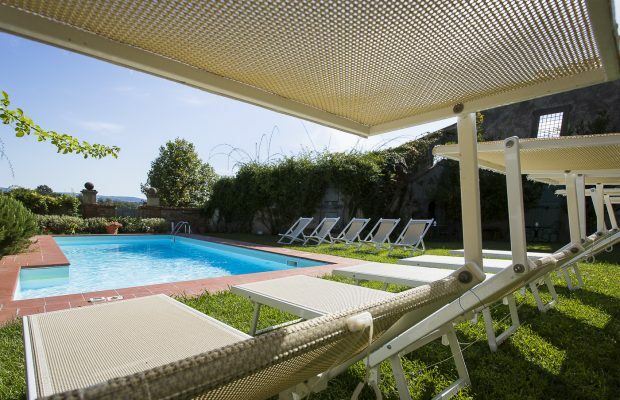 Check price, availability and book Villa Fabbri. 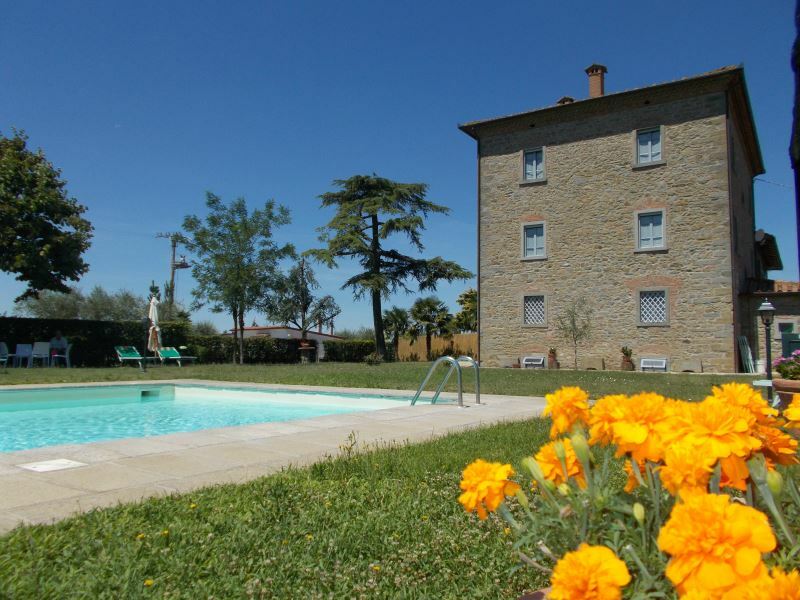 Trasimeno, just 150m from the shores of Lake Trasimeno, in the village of Torricella with bars and restaurants. MULTIPLE-UNIT PROPERTY: 7 apartments sleeping a total of 23 people. 7 bedrooms, 7 bathrooms. Ville Le Ferrette, near Montecatini (less than 2km away), in Tuscany. Independent villa with private pool. 11 bedrooms, 13 bathrooms. 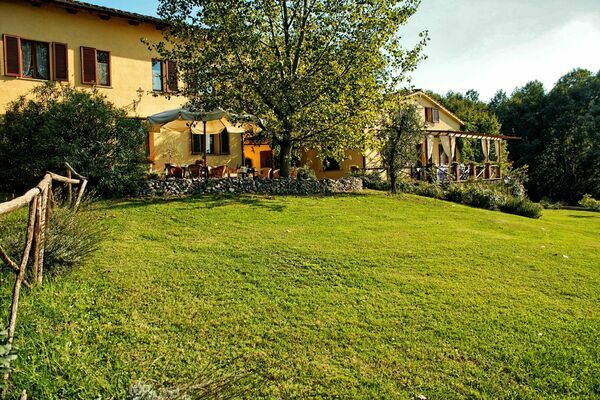 Set on a 10 hectare hilltop estate surrounded by olive trees, gardens, orchard, and forest with paths for exploring. Panoramic views. Rental prices from Euro 3390 to Euro 5935 per week. Availability. Prices. Book. Villa Felciai, near Bucine, Tuscany. 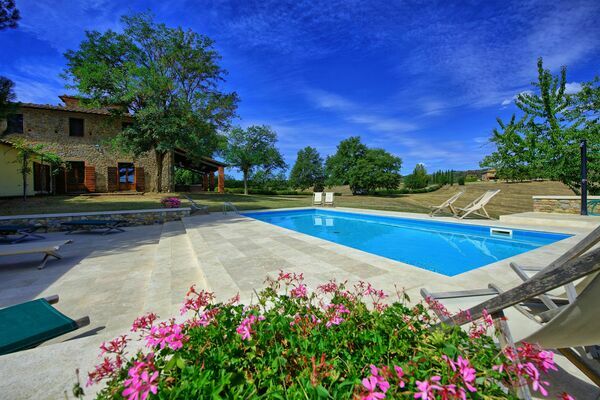 Farmhouse with private pool. 11 bedrooms, 11 bathrooms. 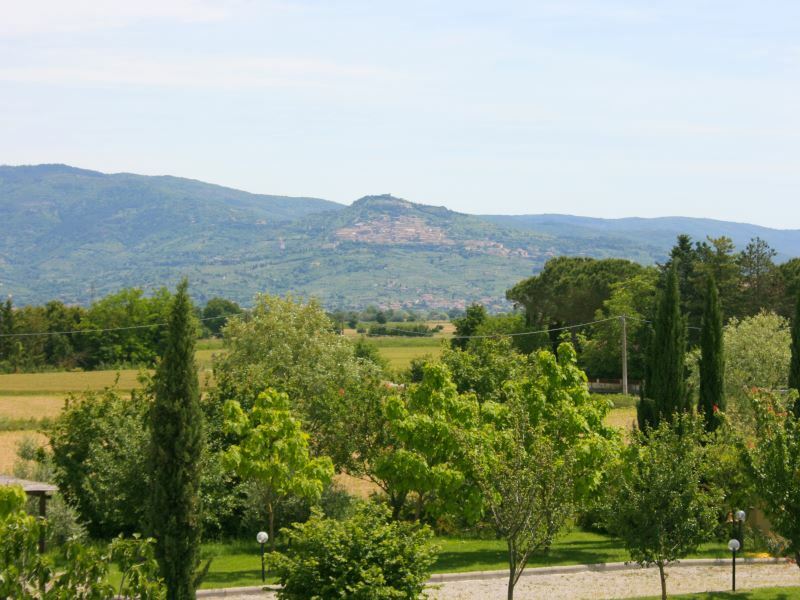 Views over the surrounding landscape with vineyards and olive groves. Ideal for family reunions / weddings. Rental prices from Euro 6500 to Euro 7000 per week. Availability. Prices. Book. Villa Petrognano, near Barberino Val d’Elsa, Tuscany. 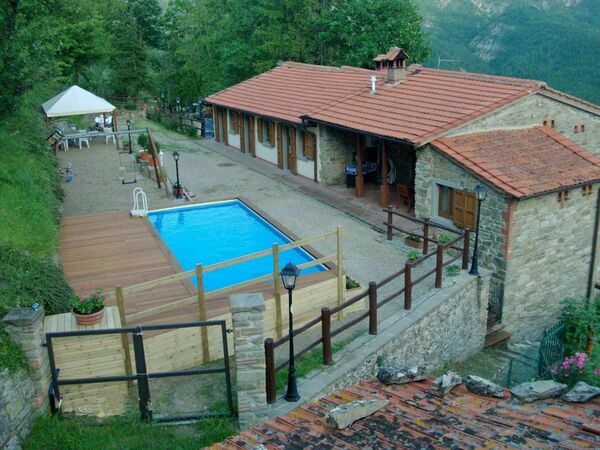 (Comprises 2 Units: An independent villa sleeping 16 plus an outbuilding sleeping an additional 8 people). 12 bedrooms, 12 bathrooms. Rental prices from Euro 8657 per week + outbuilding rental. 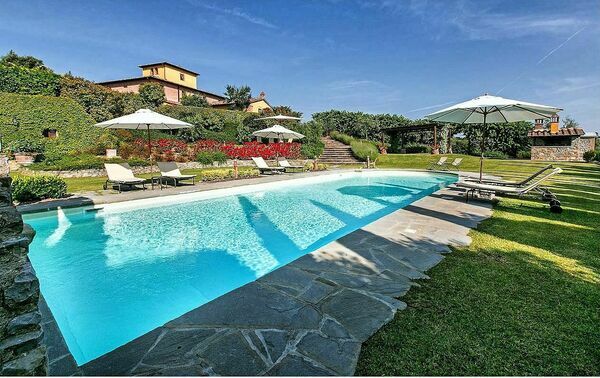 Check prices, availability and book Villa Petrognano here. 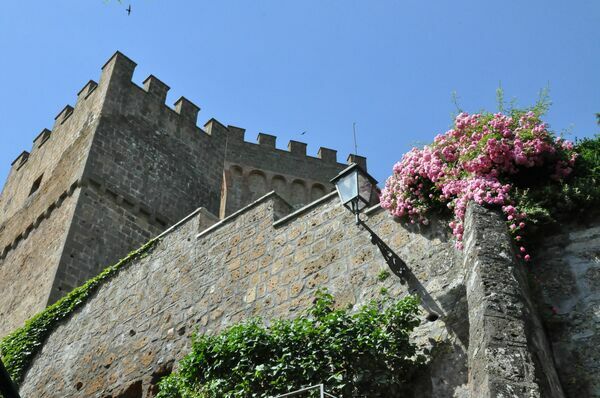 Castello Viterbese, in Proceno, Lazio /Tuscany /Umbria border area. 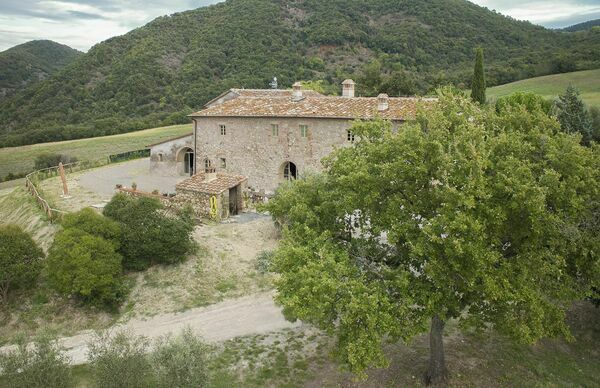 MULTIPLE-UNIT property: 7 apartments (sleeping from 2 – 5 people) in the medieval hamlet of Proceno, whose origins date back to the Etruscan era. Just a few steps away from food shops. The owners of the property also run a nearby restaurant / winebar. N.B. There are an additional 3 suites at the property which may be rented on request. Borgo del Castagno, near Cortona, Tuscany. MULTIPLE-UNIT PROPERTY: 7 apartments sharing a pool. Sleeps 25. Guests can pick fruit in season, figs, nuts and chestnuts and buy the products of the estate (olive oil, jams, wine). This is just a small selection. Search here for more villas .